Special counsel Robert Mueller just won a splendid victory. On Sept. 7, ex-foreign policy adviser to the Trump campaign, George Papadopoulos, was sentenced to 14 days in prison for lying to the FBI. After burning through $28 million in taxpayers’ money, Mueller and his witch-hunt team have little to show for it. So far, Mueller has charged three Americans for lying to the FBI: George Papadopoulos, Rick Gates, and Michael Flynn. All pleaded guilty. Paul Manafort, the former Trump campaign chairman, was convicted on tax evasion and bank fraud on Aug. 21. None of these people, not a single one, has been accused by Mueller of colluding with Russia to help Trump win the 2016 election. Manafort had been bugged for a couple of months in 2016 and 2017. Yet Mueller found absolutely nothing related to Russia that could incriminate him. Additionally, not one of those Mueller has convicted has squealed on Trump’s alleged connection with Russia, including Manafort, the most likely person to have access to Trump’s secrets. Is this due to blind loyalty to Trump? After Papadopoulos’s sentencing, his lawyer claimed “the president of the United States hindered this investigation more than George Papadopoulos ever could.” Doesn’t sound particularly loyal to me. If Papadopoulos had anything on Trump, he would have spilled the beans long ago. There is only one possibility: These people didn’t rat on Trump because there’s nothing to rat about. Finally, their lives were turned upside down only because they were associated with Trump at various times. If they never joined the Trump campaign, they would have lived their lives happily as free men. They have to be put under Mueller’s microscope because the deep state and Democrats want Trump to be humiliated. “Show me the man, and I’ll show you the crime.” The quote was attributed to Lavrentiy Beria, the infamous head of Soviet Russia’s secret police. Is Mueller’s tenet any different? The zealotry of Rosenstein and Mueller has turned the Russia probe into a farce. Remember Mueller indicting 25 Russian nationals and three businesses for election meddling? Mueller probably thought he scored a big publicity win at the time. He betted that he never needed to do any work to prove the alleged crimes. He never thought one of the companies, Concord Management & Consulting, would choose to fight the charges and plead not guilty, in May 2018. Concord’s defense counsel also hit Mueller with a bombshell revelation: One of businesses Mueller charged, Concord Catering, didn’t exist during 2016. The company also filed discovery requests on Mueller’s evidence against it. Mueller seemed to be caught off guard and resorted to delay tactics in the name of “national security.” The Concord case definitely has the potential to blow up in Mueller’s face. There’s no guarantee that Mueller would wind down his witch hunt to avoid impacting the 2018 midterm elections. 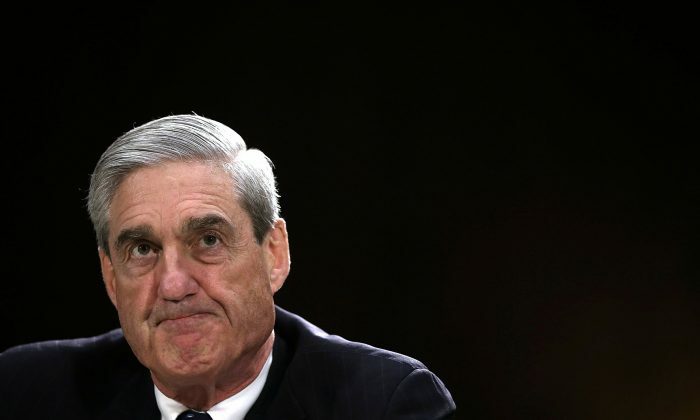 Despite numerous failures and little gain, Mueller’s clown car continues to burn taxpayers’ money. The existence of Mueller and his fellow clowns is an affront to justice, due process, and human decency. Perhaps it’s time Trump puts Mueller’s circus out of business. Fire them all.